When you walk past a landscape filled with trees, it is like a breath of fresh air filling your lungs. However, have you ever stopped and thought about the special care the trees need. In our beautiful city, the professionals take care of the trees. If a tree, a have protruding branches it can fall with the least pressure hurting people walking past it. Even a tree infested with pests needs attention, and the same applies to the trees standing in your garden. Investing in a tree trimming service to keep the yard maintained is one of the biggest investments you can make. Now you might be wondering where to find an affordable tree service in Las Vegas. We have fantastic news you can find the service right here with us at Las Vegas Tree Removal Pros. We can provide you with the affordable services to keep your home or business protected from hazards caused by trees. We believe in keeping your environment green and analyze the tree’s health before trimming or removing. If, we find there is a possibility of recovering tree our tree surgeons tend to it with the correct treatment. Our crew is fully certified to bring you the best tree removal service, and make use of modern techniques and equipped with the best tools to solve the problem. It is easy to hire a company to take care of your trees at the lowest rates, but it does not mean the trees are receiving quality care. Our tree trimming and removal services have a reasonable price tag and costs vary. Furthermore, you do need to remember if a tree needs removal or in need of transplanting the costs can be higher. Our company provides you with insurance and cover the equipment and employees. We make sure you get a quality service done safely, affordable, and efficient. We offer you a free estimate to do any job. Our Arborist will come out and look at the job to give you the right price. Another important thing when hiring us our service costs all depend on the size and number of trees we need to tend. The costs for our wide selection of services vary and best to discuss your budget with us before hiring the service. After completing an analysis of the location, we provide you with an estimated quotation. 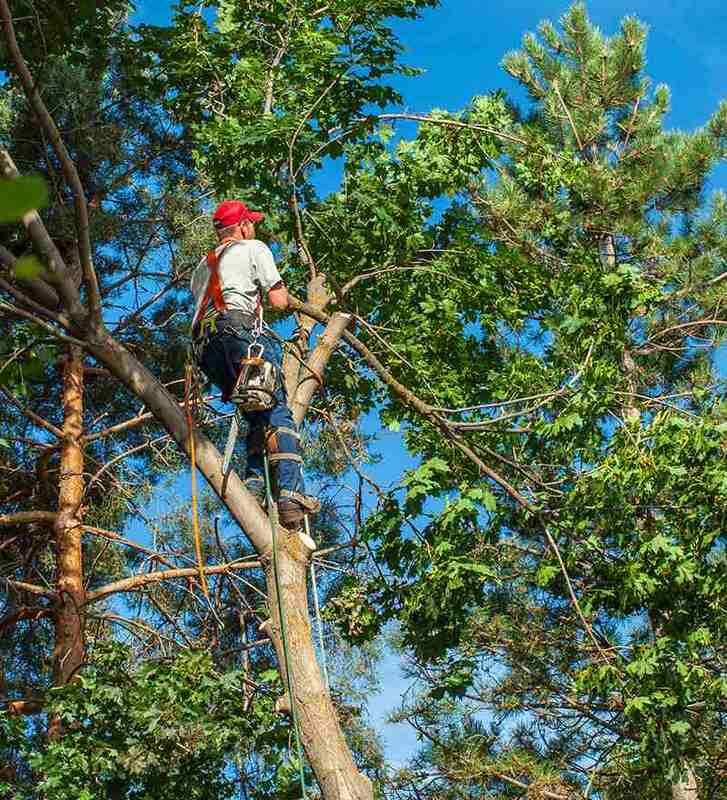 We are your one-stop tree service provider for commercial and residential tree maintenance. We will always strive to keep you happy and make sure your environment remains green. Our emergency service is available 24/7, and you can request anything to feel reassured with our services. We have the correct certifications and licenses in place. Our insurance certificates available to see and can offer you a complete list of references. Furthermore, we can provide you with information on equipment and techniques we use. Do you need an affordable service provider to keep your trees looking great for years, make sure to give us a call today?